Like most holidays, my child will be the one decked out in appropriately themed gear for the week leading up to Fourth of July. Do you do that, or am I just that crazy mom? 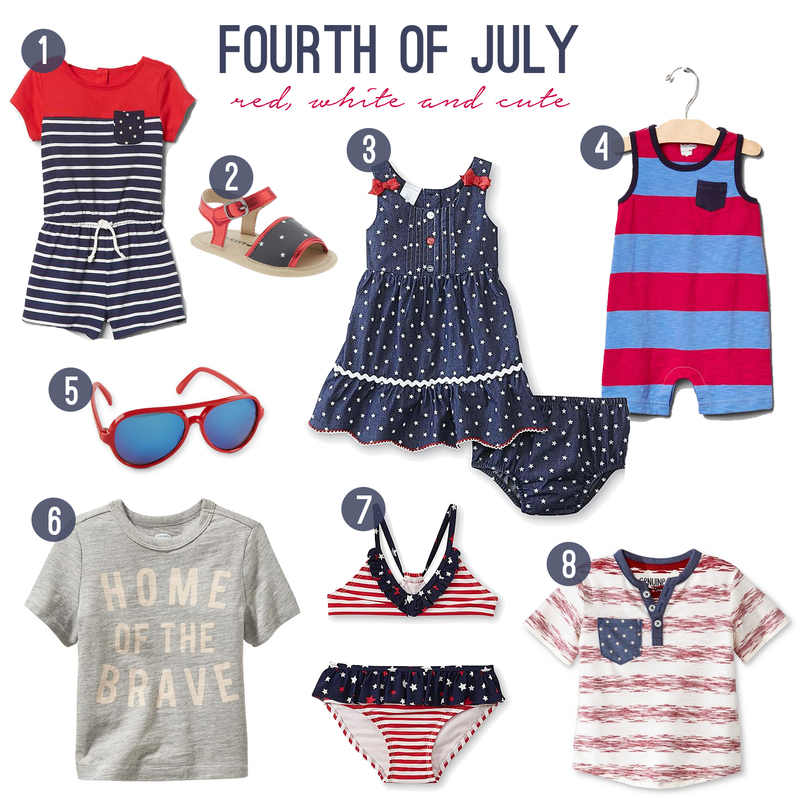 I thought I would round up some all American kid style inspirations for the Fourth just in case you are still looking for a festive outfit (or two) for your little ones. This entry was posted in Baby, Fashion, Holidays, Kids and tagged Carter's, Fourth of July, Gap, Genuine Kids, Kmart, Old Navy, Target, WonderKids. Bookmark the permalink.